The first 3 photos are AMX photos from April '68. 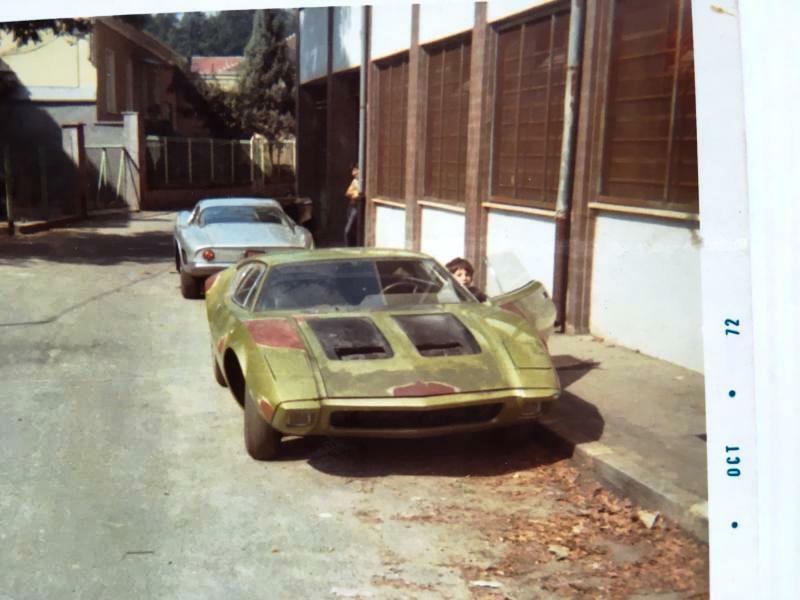 The next 2 are of the montage Karmann AMX mockup, note the round tailights. These are the original, first mockup. Note the rear side-glass shape is different on this first model. 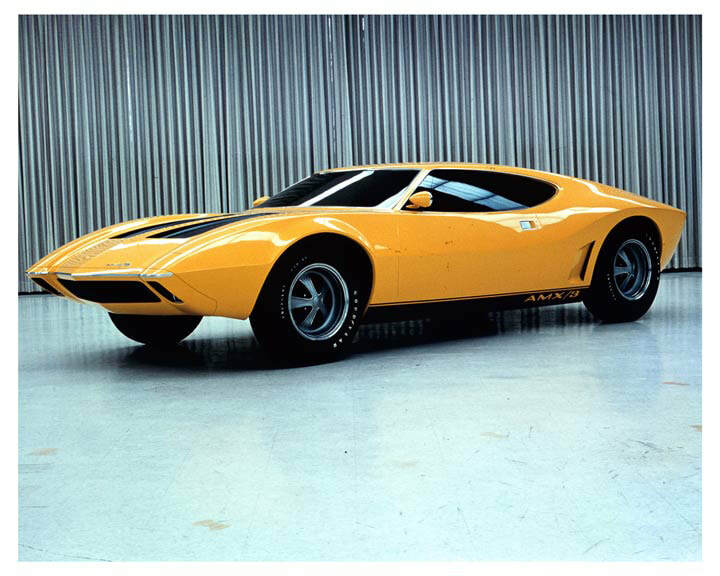 The second model in the program known as the AMX/K evolved from the mK "AMX"
August 1969 final photos of the AMX/K. 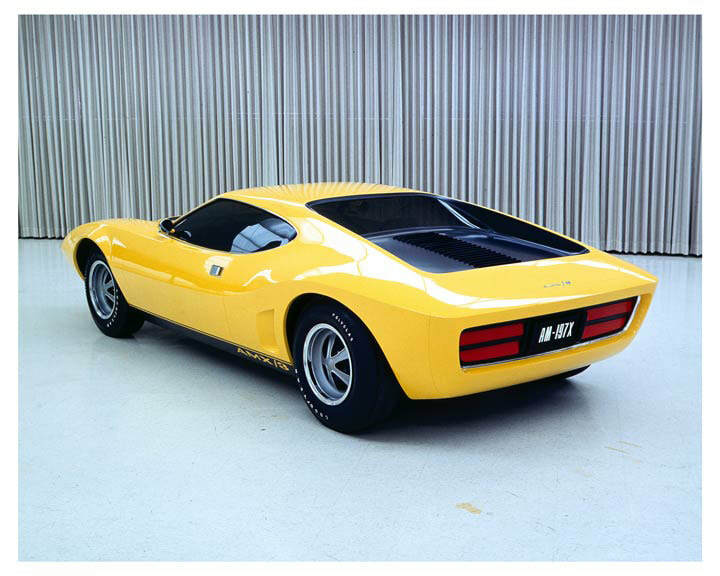 Note the 3-slot taillights and rear fascia similar to Car #1. This is the second model evolution of the three mockups built during the project. Note the more familiar rear side window design. 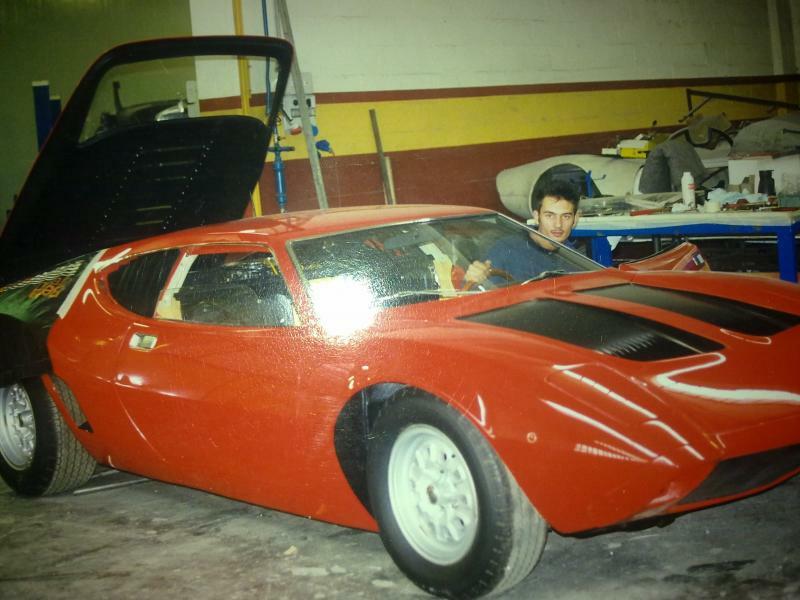 The third model development in clay begins and eventually becomes the famous mockup "pushmobile"
The project's clay model is splashed to produce a mold and fiberglass models were made, one of which was sent to Diomante in Italy to produce the steel body cars. 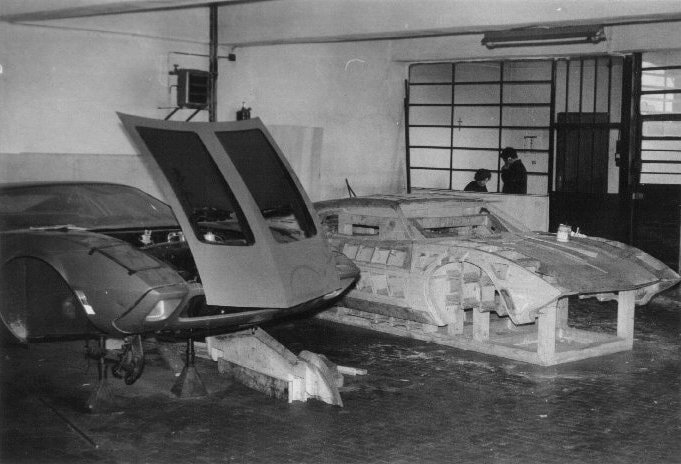 The third fiberglass mockup appears to be from the evolved and modified clay model devoloped separately from the first four steel body cars. 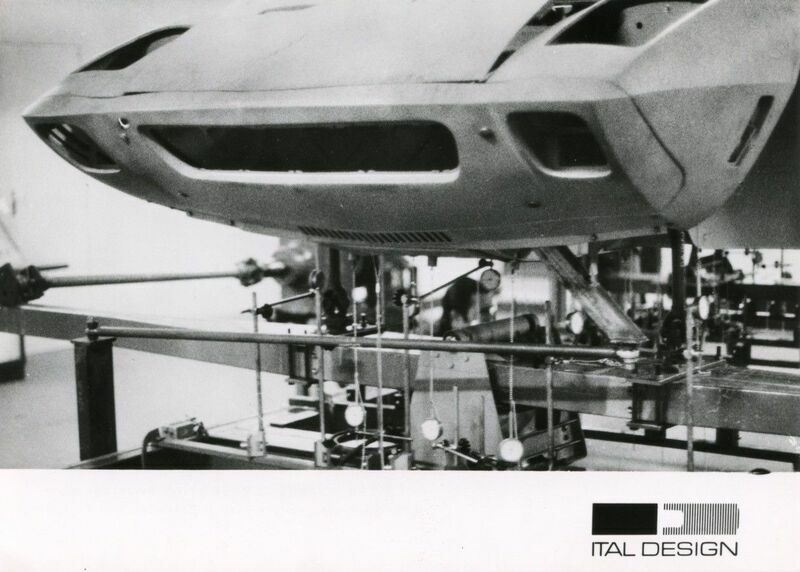 The last three cars design development come from this third model and design changes. 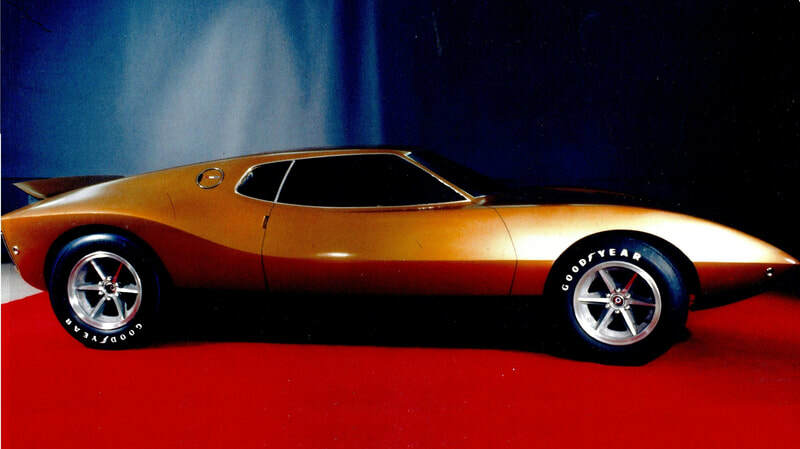 The first group of metal bodied AMX/3 cars includes #1, #2, #3 and #5. The bodies were formed from a wooden jig based on a fiberglass model splashed from the original clay design. 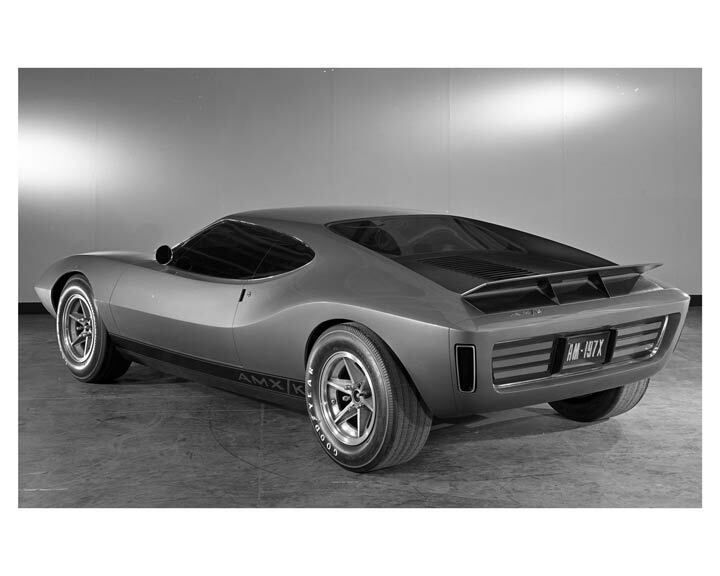 June 1969 Car #1, the first steel bodied prototype was sent to BMW. 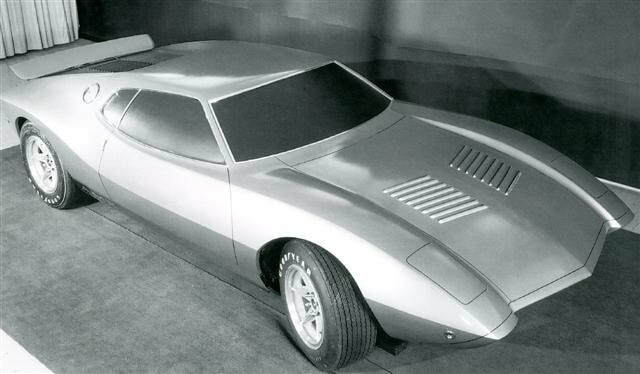 Car #2, the second prototype followed in 1969. December 5 final BMW testing reports on the improved torsional rigidity thanks to development by the design team. 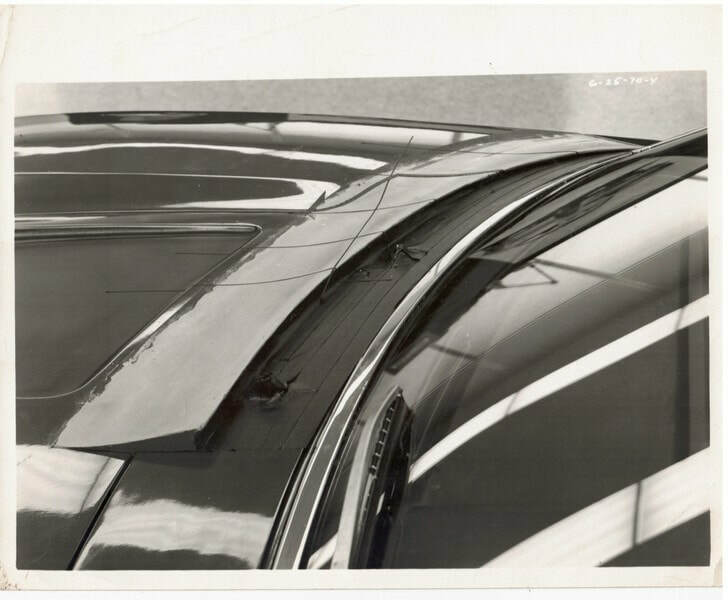 While the steel body cars were being developed in Italy, AMC continued design modifications on the third fiberglass mockup pushmobile independently of the Italian steel bodywork. 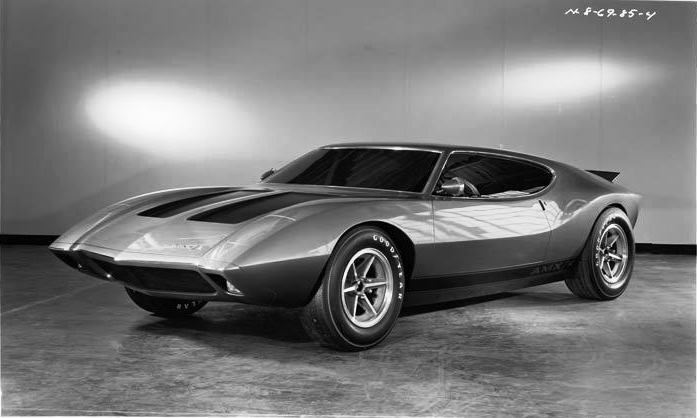 The result was the February 1970 Chicago Auto Show display. Note the similarities the second group of steel cars #4 and especially #6 and #7. 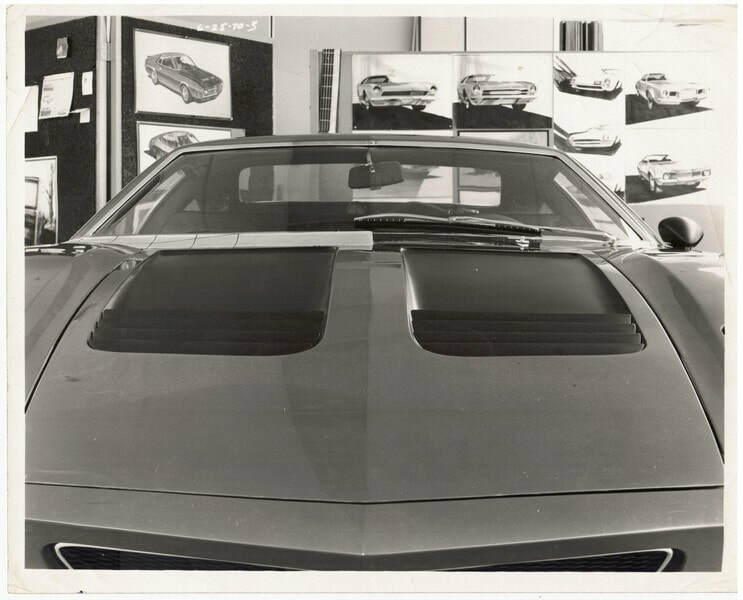 June 1970 the design changes continue at the AMC Design Center in Detroit. Note the design work to "conceal" the wipers was done by AMC. 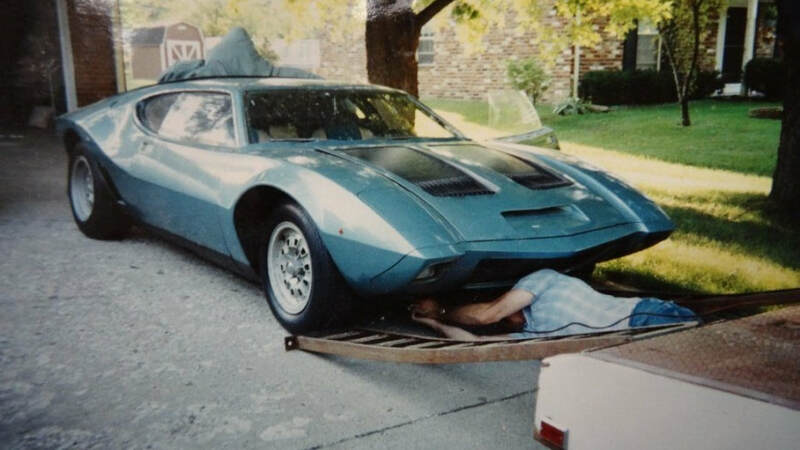 It has been suggested and reported that the later cars are different, therefore not "real" AMX/3 cars but these design photos and continued rear body design on the fiberglass pushmobile prove the later cars were finished exactly as designed and intended by AMC appearing on Cars #4, #6 and #7. 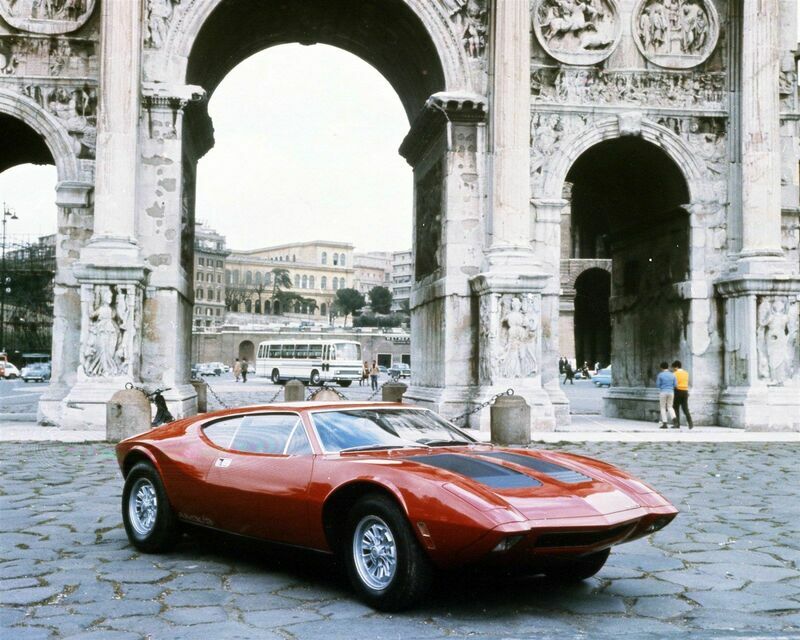 July 1970 the project funding is canceled by AMC but AMC offers Bizzarrini to continue the project self funded with parts and commitment from AMC for 10 AMX/3 cars with Bizzarrini marketing 20 Sciabola cars. 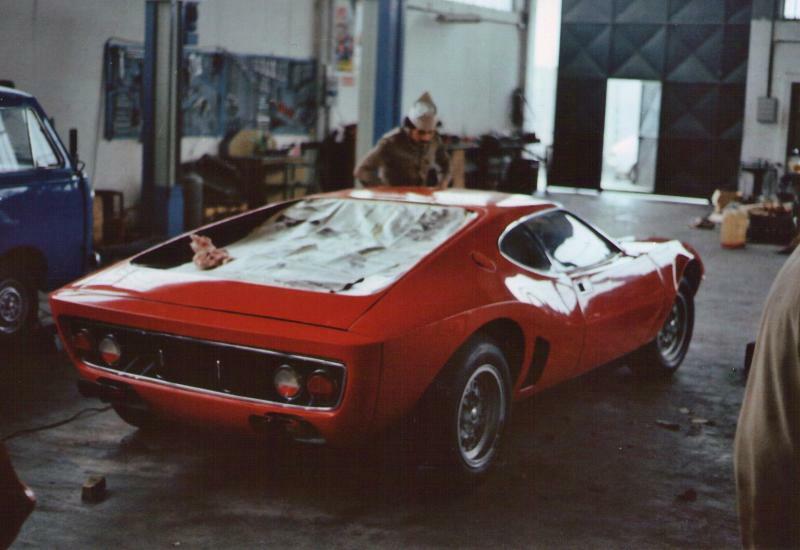 Bizzarrini declines, but not until after he and Diomante finish Car #4 with all the AMC design modifications, then presented at the October 1970 Turin Auto Show. 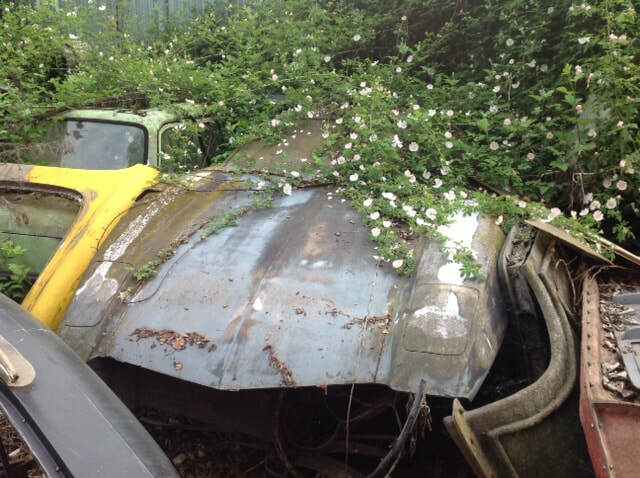 Car #4 is the first of the "later" styled steel bodies. Car #6 and later #7 are finished using the AMC design modifications. 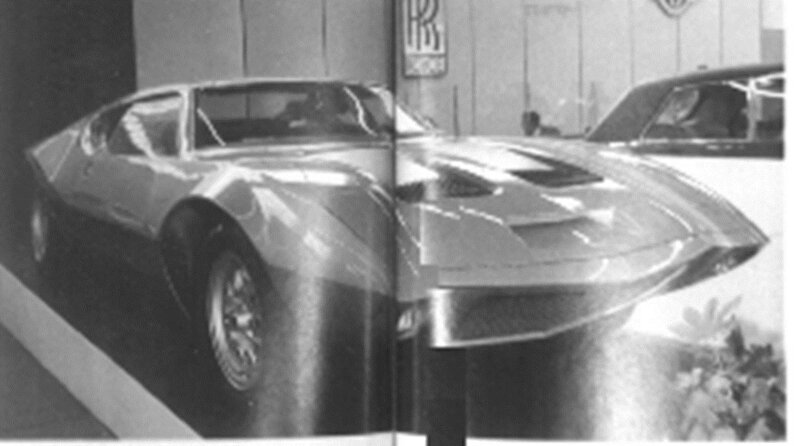 This is the car that would have been available to the public if the project continued to market in late 1970 / early 1971. 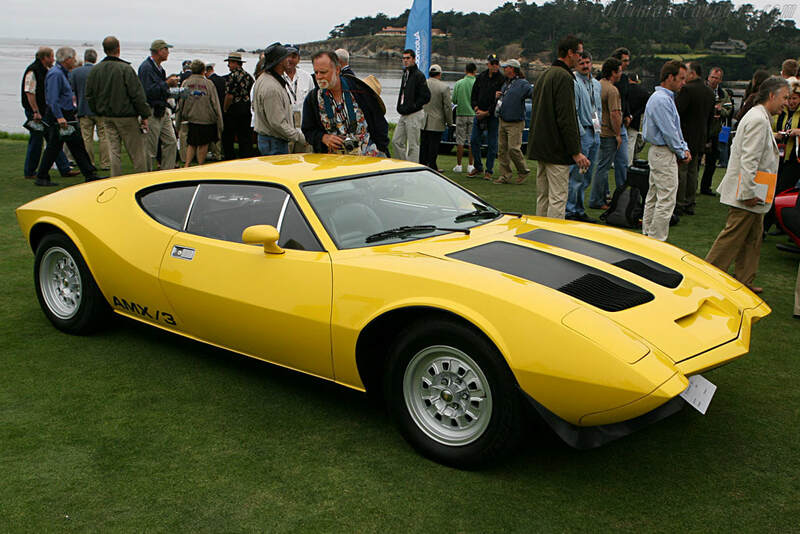 Car #6 was again shown at the 1976 Turin Auto Show funded by OTO Melara to sell transaxles. 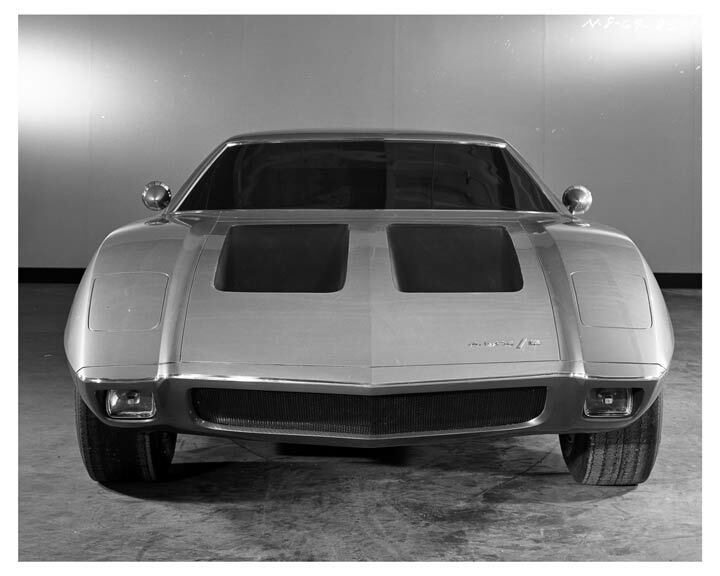 In addition to the new rear body shape and raised cowl on #4; #6 receives the lower front hood scoop elimination and the pop-up rear spoiler elimination per AMC design changes present on the final mockup pushmobile AMX/3.